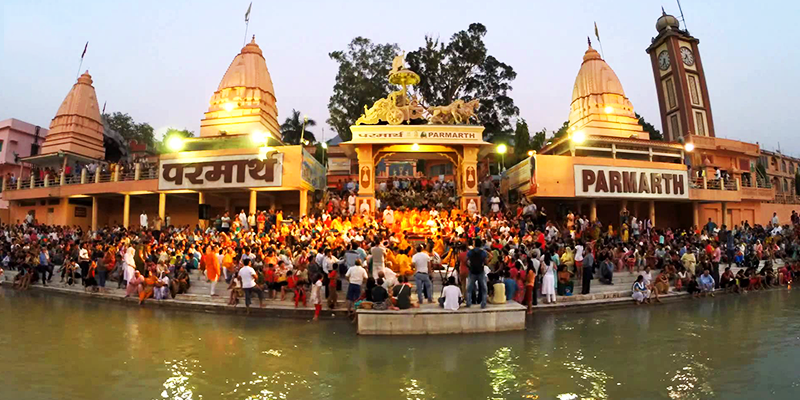 Situated on the banks of River Kshipra, Shri Ram Ghat is one of the ancient bathing ghats of Ujjain. It is located close to the Harsiddhi Ghat. A dip in the river during the day is held holy, but once the sun is about to set this ghat holds a grand aarti. 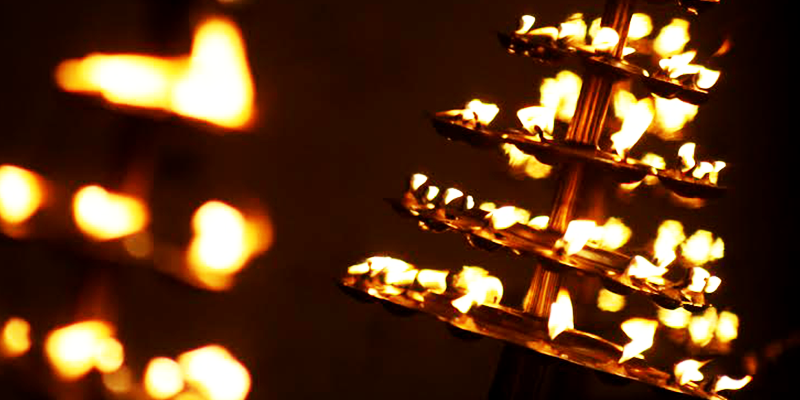 The pandits, who adorn long robes and hold bright lamps perform aarti, making it a site to behold. During the recent Simhasta Ujjain Kumbha Mela lakhs of people came from far off places to be part of this great ritual. 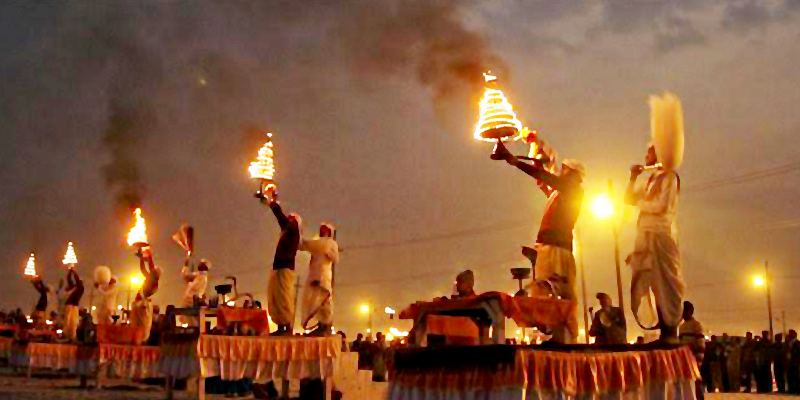 This popular ghat in Patna is a must visit during the dawn hours to witness the golden sunrise but do care to return back and witness the Ganga aarti during the dusk hours. 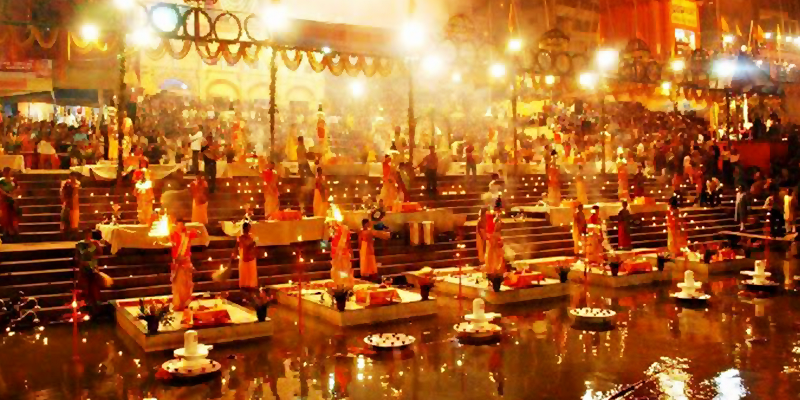 The aarti is performed with 51 lamps by priests who “wear saffron robes and have puja plates spread before them”. It all begins with the blowing of conch shells and burning of incense sticks giving out sweet fragrance. Held mainly on weekends, there are large crowds that converge on the ghat. To get a good view of the Aarti, tourists can book BSTC boats. This ghat is held auspicious as it is here that three holy rivers – Ganges, Yamuna and Saraswati Rivers meet. Rig Veda states, “Those who bathe at the place where the two rivers (white and dark) flow together, raises up to heaven.” Thus, Hindu devotees from far and wide take a dip in the Ganges from this ghat. Once they are done with the holy bath, they have to wait till the evening to view the Ganga Aarti. Priests wearing colourful robes, burn incense sticks, light bright lamps and wave their hands to worship the Ganga Mata. There are hymns sung in the background setting up the ideal ambience. This aarti is more of an intimate and spiritual affair, devoid of some theatrics. Instead of Priests wearing their glamorous robes, aarti here is performed by the Ashram residents. One can see children from the ashram performing the aarti. The ceremony starts with devotional songs, prayers and there is a hawan (or sacred offering). The lamps are lit and the final act is aarti. If you want to enjoy the aarti, it is preferred to arrive early as the ghat can get quite crowded. Har-ki-Pauri means footprint of the Lord and it is believed that there is a footprint on a stone wall here that belongs to Lord Vishnu. 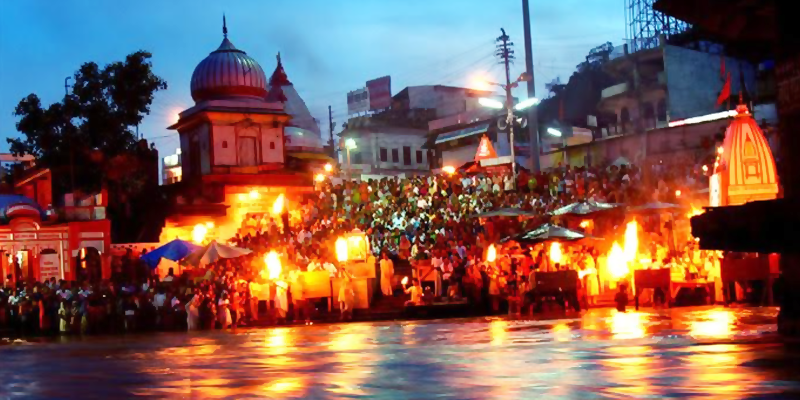 Travel enthusiasts believe Ganga Aarti at Haridwar is the “most interactive affair”. The aarti here has it all – huge crowds, robed priests, Sadhus, idols of various gods, loud speakers, clanging bells, devotional singing, incense sticks, flowers, and of course the bright flames! 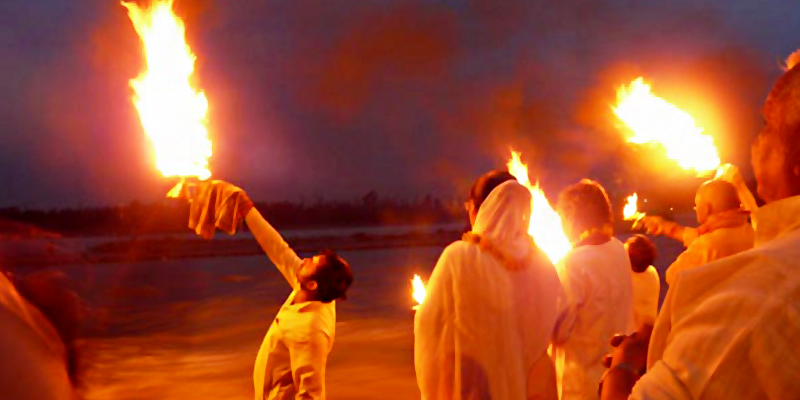 So, now you know that Dasaswamedh Ghat in Varanasi is not the only destination to view the Ganga Aarti.